Laura Payne, PhD is an Adjunct Assistant Professor of Pediatrics at the David Geffen School of Medicine at UCLA and a licensed clinical psychologist. Her current research focuses on identifying mechanisms of pain in adolescent girls and young adult women with primary dysmenorrhea (menstrual cramps), as well as developing cognitive-behavioral interventions for menstrual pain and other pain conditions. Saeng-Fah Graham is a Menstrual Doula with a passion for empowering humans through knowledge of their menstrual cycles. She leads De Lune's community education initiatives. We designed De Lune alongside leading researchers with deep expertise in medicine, menstruation, and nutrition. But our work never ceases, as the underlying science supporting these fields is constantly evolving. De Lune's Saeng-Fah Graham sat down with Professor Payne to better understand new and ongoing studies of menstrual pain and its associated factors. SF: I understand your research is related to the psychological factors of menstrual pain — can you tell me more about it and some of the insights you’ve gained? LP: With pain, which is obviously a very broad area of research, we have come to understand that there is no distinction between the concepts of “real pain” and “pain that is in your head.” Those two categories don’t really exist, because all pain is processed in the brain in relation to many other aspects of our lives, whether it’s our thoughts and memories, our mood, our own genetic make-up, biological sensitivities, past experiences, or traumas. Nerve signals are just one component of the pain experience, and this is true for all types of pain. So with menstrual pain, because it is a type of pain that is typically just treated pharmacologically, either through the use of NSAID’s (such as Aspirin and Ibuprofen) or through hormonal methods like birth control, not much attention has been given to the other psychosocial aspects of the pain, which could be very important for many individuals. One of my interests was to help young women develop effective coping skills around their menstrual pain. I developed a short group treatment, and taught young women with moderate to severe menstrual pain different skills commonly used in cognitive behavioural therapies for pain. We haven’t published the paper yet, but the preliminary data shows they reported a significant reduction in menstrual pain up to a year after the group ended. It’s not that they don’t have pain, in fact they still do have pain, but it’s less than what it was initially. They also report continuing to use the skills from the group. SF: What are some skills taught to this group? LP: Decatastrophizing (a technique for developing less anxious, catastrophic thoughts about pain), mindfulness (the practice of learning to focus on the present moment) and coping skills (identifying a range of possibly helpful things to do when experiencing pain). For the coping skills session, we generate a lot of things you can do to help yourself cope with pain and all the participants give their perspective and share what they’ve done. It includes medication too, but there are a lot of other resources we want to make sure that they know they can do if they don’t have access to medication or maybe don’t tolerate medication well. SF: What was your impetus to study pain and then specifically menstrual pain? LP: When I was completing my internship at the VA hospital, I became very interested in behavioral medicine, and the interaction of psychological and behavioral factors with health. Working with chronic pain provided the ideal area to continue that research, because even though we often think of pain as purely biological, it’s an area where psychology and behavior play an important role. I became interested in studying menstrual pain during my postdoctoral work when I attended a presentation on pelvic pain in women. I realized how little was known about women’s health and pain and I wanted to help girls and women with this significant, but often underrecognized, condition. SF: What other research is being done for Primary Dysmenorrhea that you are aware of and have found exciting? LP: I just finished a study looking at this idea of central pain mechanisms, which is basically examining to what extent the brain is sensitized to pain in adolescent girls and young women with menstrual pain. We did find some differences in pain sensitivity in girls with menstrual pain compared to those without menstrual pain, suggesting that they may be more sensitive to pain in general. The reason this is important is that being sensitized to pain may be a risk factor for the development of chronic pain conditions. That’s really where the research is going now, looking at menstrual pain as a potential indicator of someone who has the neurobiology or behaviors or the genetics that is going to be very sensitive to pain and may develop chronic pain later on. It’s certainly not true that every girl with menstrual pain will go on to develop chronic pain, but there may be a subgroup of girls who could be at risk. My research focuses on trying to identify who may be in that subgroup. This might allow us to develop more effective, specific treatments for those specific young people and adults. SF: Do you think anything is lacking in terms of research right now, any area of research that hasn’t received attention yet? LP: The diagnostic criteria for primary dysmenorrhea are very vague. Primary dysmenorrhea is diagnosed after exclusion of other conditions, such as endometriosis or pelvic inflammatory disease. Diagnosis is usually based on self report, which includes asking about frequency of menstrual cycles, the presence of pain in between their periods, etc. We try to be as accurate as possible but we really need better diagnostic criteria. The problem, of course, is that to really rule out endometriosis you have to have a laparoscopy and that’s a pretty intensive surgical procedure. Until we get better diagnostic tools, research may be difficult because we may inadvertently include girls and women with different types of pain in the same group. That makes it hard to see who is going to have future pain problems and who is not. SF: What other research area could use more attention? LP: The other area of research that needs to be done is really looking longitudinally at menstrual pain as a marker for chronic pain, which means looking at individuals in adolescence and following them for a long period of time. One study showed that about half of women with self-reported menstrual pain developed chronic pain 12 years later. But it’s a retrospective study, and we really need to look longitudinally at these factors. It’s difficult research to do, but it is really important. SF: Do you think that women’s health research is underfunded? If so, what could use more attention / funding? LP: Yes, but in large part because all research is underfunded right now. But NIH and, specifically, the National Institute for Child Development take a really strong interest in women’s health and generate funding opportunities for this type of research. I think NIH is really interested and supportive of menstrual pain research. But, it is more challenging to find private funding because there aren’t a lot of opportunities there for women’s health specifically, so that’s where I think there could be more funding opportunities. SF: Why do you think it is that the impact of psychological factors in dealing with pain has largely not entered the mainstream consciousness around periods? LP: I think there are a couple reasons. One of the reasons is that we don’t talk about menstrual pain enough. I think people and physicians assume, which is not unlike the case with other types of pain syndromes, that it should be treated medically with medication. And, that does work very well for a lot of young people and adults. So I think that, because of the fact that there are treatments available for a good portion of the population, people just see it as an easily treatable condition. I also think we have a limited and often misguided understanding of pain in general. We work a lot to help people understand that it’s not all in your head, and the brain is the key to understanding how we experience pain. If we can develop treatments that work with the brain, as opposed to just treating pain with analgesics, it will certainly be more effective at reducing pain. SF: Do you have ways in which you use what you learn from your research and apply to your own life? LP: Yes. Although I don’t necessarily have regular menstrual pain, I use cognitive-behavioral skills all the time! For me, coping skills, including self care and exercise, help me feel better physically. Those are some of the things that I use because it really works for me. I also do a regular mindfulness practice, and that’s a very helpful tool. SF: What kind of mindfulness do you practice? LP: I use apps sometimes, recordings from courses I’ve taken, or I just do my own breath meditation. I also just started practicing transcendental meditation, which I have found interesting and helpful. 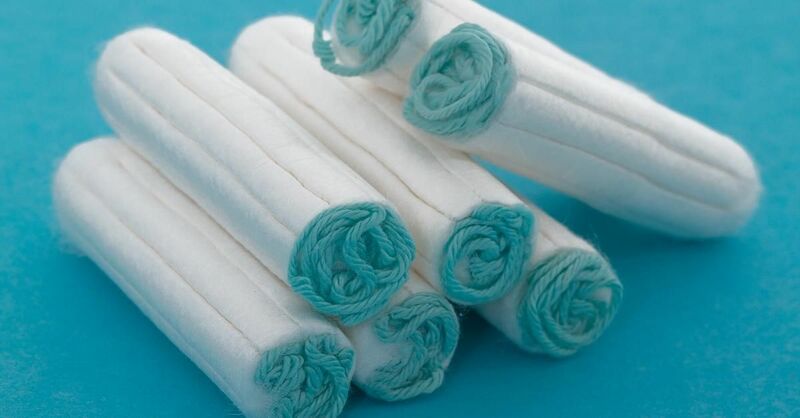 SF: Are you aware of the period positive movement, or have you noticed an increased awareness of menstrual health in the public sphere—be it through blog posts or newspapers? LP: My knowledge of it is more from people contacting me for comments for different articles. Seeing those articles is pretty amazing because, when I was younger, you’d never see an article on menstrual pain. I have noticed a lot of companies that are making resources available for people in a new way, like the whole movement of using a menstrual cup. So I do think it’s changing. People are getting more comfortable talking about it and I think it’s a really good thing. Because it is a normal, human function and it’s important for people to know that there are options for what you want to use for your period, and how you want to deal with it. It can be very empowering. SF: Do you think that this social stigma has any impact on how people feel menstrual pain? LP: Yes for sure - again people feel like they just have to “deal with it,” that it’s just part of what it means to be a woman. I don’t think many young people or adults mention it to their doctors, unless it’s really debilitating. But there are a lot of young people and adults where it’s not quite that debilitating but is still really uncomfortable and causes a substantial interference in their lives. But, they may not mention it. I also don’t know if regular primary care physicians are going to specifically ask their patients about it or really have some expertise in that area and know what to do for women who can’t tolerate birth control pills or don’t want to be on birth control pills. I do think the social stigma of menstrual pain has limited people’s knowledge about menstrual pain and decreased the likelihood of young people and adults talking to their physician about it. SF: What’s one thing you would say to people with debilitating period cramps? LP: Talk to your doctor and tell them about it. If your doctor doesn’t provide sufficient help, see a specialist if you can. I realize not all people have access to a pelvic pain specialist, usually a gynecologist, but it’s worth it to see someone who specializes in pelvic pain. Because you do want to rule out any medical conditions, such as endometriosis which can be treated surgically. It doesn’t have to be this way, there are physicians who are creative and really know different ways of treating pain. They can help. Find a method that works for you, explore a lot and stick to what works. There isn’t a “one size fits all” approach. Developing coping skills, doing mindfulness, challenging anxious thoughts about pain.. any of those may be really powerful tools that can help you. SF: What’s one thing you would say to those who don’t experience period pain but would like to support those who do have dysmenorrhea? LP: Try to put yourself in their shoes if you can. Know that this is a regular pain experience that this person deals with every month or so, and try to support them in however they have decided to cope with the pain, whether it’s through medication or alternative approaches. Try to support them and acknowledge that their choice is right for them.